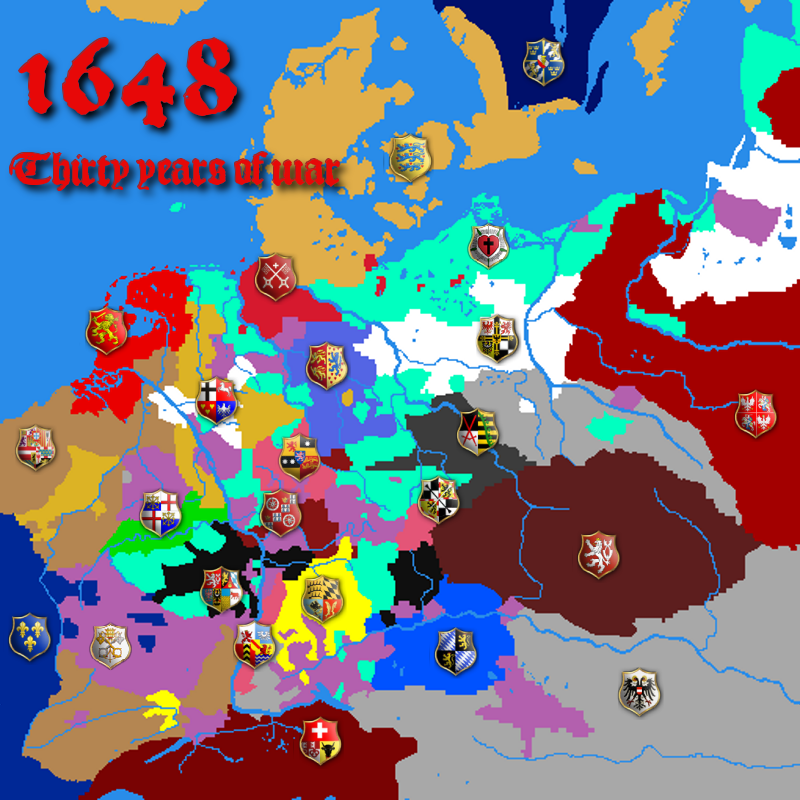 The mod 1648 is settled in the period 1618-1648 of the wars in Central Europe better known als the '30 years war'. The battlefields of this conflict are all located in the area of the Holy Roman Empire of German Nation, therefore the map encompasses it's dominion and the directly neighboring areas (South Sweden-Udine / Reims-Riga). A high level of detail is guaranteed through 198 provinces and 27 (22 playable) factions. The pivotal aspect of the mod will be the struggle of the Kaiser with the counter reformation; protestant leaders being his main adversaries. 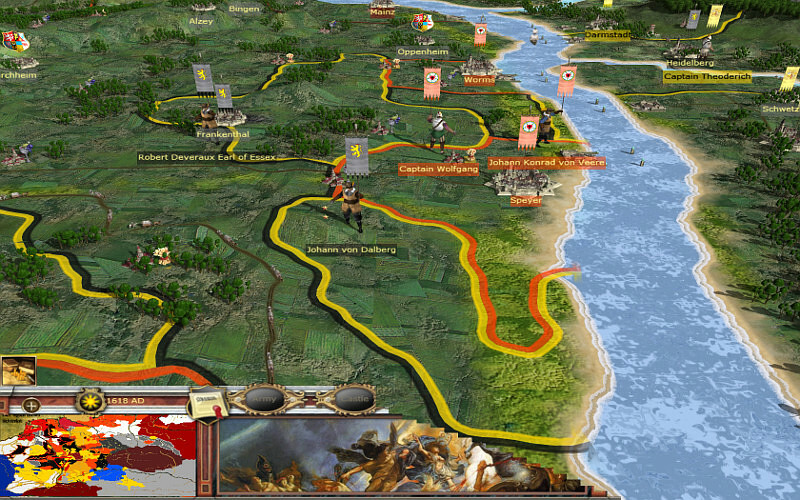 Foreign powers enter the game as spawning factions like Transylvania and Ottoman Empire or as invaders like Sweden and France. Poland-Lithuania (the Western areas), Denmark. Two subjects of the Empire, the Old Swiss Confederation and the Republic of the Netherlands have their part on the map as well, although their influence in the beginning will be more passive. The eighty years war between the Netherlands and Spanish Habsburg will also play a role in the overall war of that period. Both factions will try to get their independence, de facto they´ve already. - German television ARD and ZDF for their documentaries "Wir Deutschen" and "Die Deutschen"
- Team HRE and their inspiration for a "Reichs-Mod"